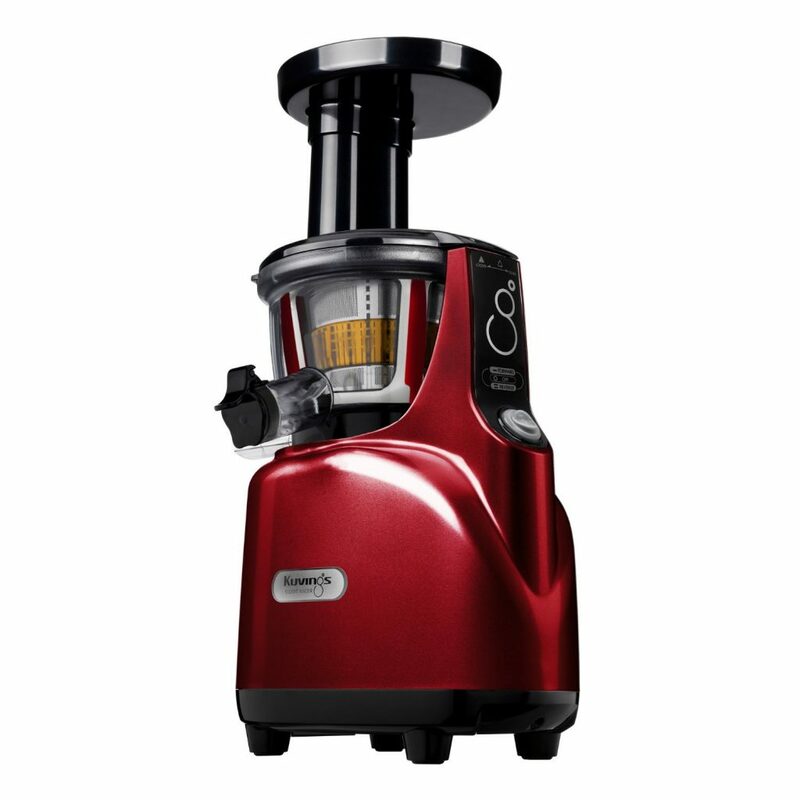 One of the premium factors that make the Kuvings Silent Juicer SC Series With Detachable Smart Cap such an effective juicer is that it functions on slow speed thereby preserving all the nutrients and minerals in the juice. The pulp and fiber that is blended in the juicer makes the juice extremely healthy and with natural flavors not lost, the juicer is perhaps the best way to health and fitness. 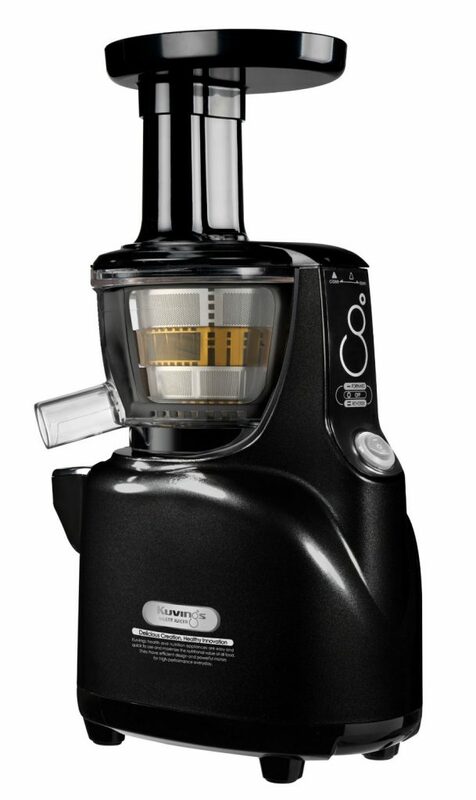 As the name suggests, the appliance is available with a smartcap that facilitates the juicing process to make mixing the vegetable and fruit a really simple job. 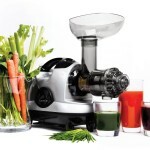 Unlike the other centrifugal juicers, this silent juicer is a dream come true for most health freaks as this function on slow speed to retain and preserve all the nutrients. Another very special factor about the juicer is that the cups and other parts of the juicer like the juicing bowl, the pulp can and the cup that collects the juice are made of material that is free from BPA, which is the acronym for Bisphenol A. It is a chemical used in the making of plastics and is a potential health hazard. 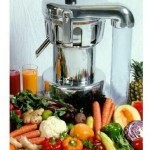 The Kuvings Silent Juicer SC Series With Detachable Smart Cap are BPA free, so it is safe for juicing purposes. 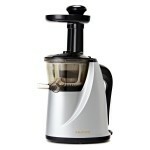 The juicer is made available with a highly user-friendly smart cap that is detachable. This enables easy cleaning and also a clean drip free operation. The SC Series juicers like the Kuvings Silent Juicer is compatible with the attachments of the Kuvings Frozen Dessert Maker which can be bought separately. 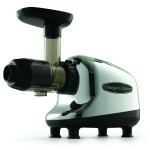 With this it is now possible to make a variety of frozen desserts and baby food by mincing fruits and vegetables. Dimensions: 6.5” x 9.6” x 17.1”. 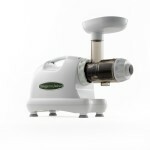 A power switch that controls the direction in which the ingredients move during the juicing process and also to help prevent the clogging of the ingredients around the blades. The use of GE Ultem, a highly durable plastic to manufacture the juicing screw and strainer makes both the parts very strong and sturdy conducive for juicing heavy duty ingredients. The extra length of the feeding tube and the hopper add to the pros of the appliance as it safeguards the hands from an accident that can be caused if it enters the machine when working. There are so many pros to the Kuvings SC series juicers that a few cons that the appliances really have can be overlooked or managed. Using Kuvings Silent Juic﻿er SC S﻿e﻿ries is not only simple and easy, but with the vast health benefits that the juices provider the user, the device is definitely worth a place in the kitchen.